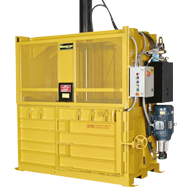 The M-7240 HD are the most productive vertical balers on the market today. 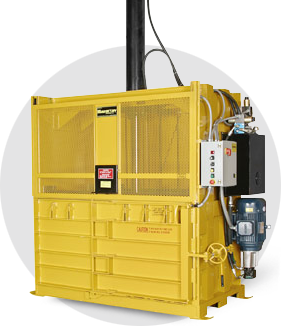 Their incredibly fast 28 second cycle time and large 72 x 40 x 40 inch charge chambers allow one to bale over 2,000 lbs. of cardboard per hour. The massive 7 inch cylinder and 20 HP heavy duty motor combine to produce over 92,000 lbs.of force resulting in 1,300 lb. bales of cardboard.